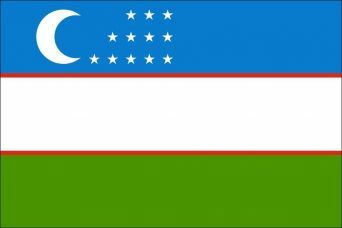 For private visits an invitation letter issued by the Department of Entry, Exit and Citizenship of the Ministry of Internal Affairs of Uzbekistan is required. A valid, signed passport. The passport must have at least 6 months remaining after the completion of your stay in Uzbekistan, and contain at least one blank visa page. Copy of passport (copy of pages with personal data, visas, stamps and other records). Washington DC Jurisdiction :The consular district of the Consular Section of the Embassy of Uzbekistan includes the following states: Alabama, Arkansas, Colorado, Delaware, Washington DC, Florida, Georgia, Kentucky, Louisiana, Maryland, Mississippi, North Carolina, Oklahoma, South Carolina, Tennessee, Texas, Virginia, West Virginia, as well as Canada, Cuba and Brazil. In some cases, when visa fee is waived by the Ministry of Foreign Affairs of Uzbekistan according to special agreements, processing fee in the amount of US $ 20 will be collected from the applicant (please call Consular Section at 202-530-7291 before submitting the documents). Updated: December 11th, 2017 .